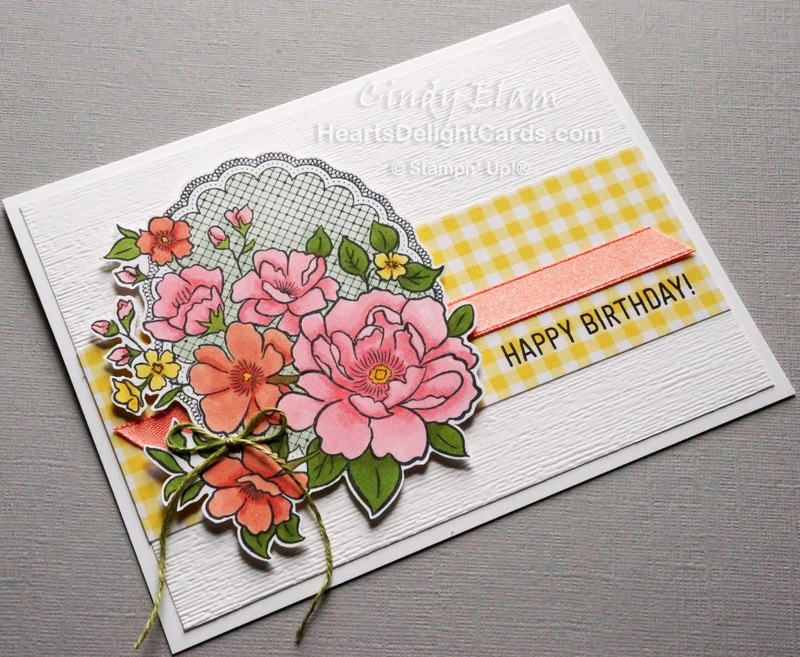 Heart's Delight Cards: Sale-A-Bration Sneak Peek! 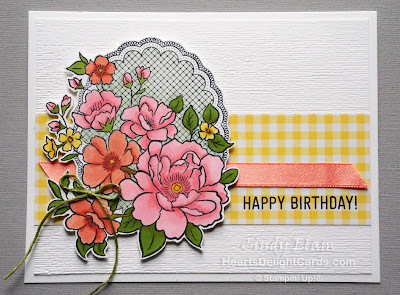 Safely home from my stamping adventures in Orlando (other than bringing a nasty cold back with me), and I wanted to share a quick sneak peek at a Sale-A-Bration freebie coming in January.Ohhh, this is just such a pretty set! It's called Lovely Lattice, and it's a JOY to color! There isn't a coordinating die, so I fussy-cut it and popped it up on dimensionals. Some Wink of Stella was added to give the blossoms a subtle shimmer. 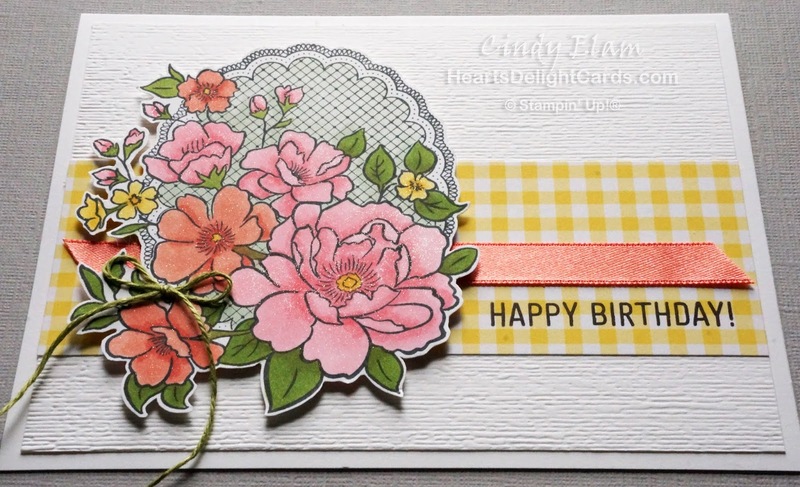 There are three other sneak peeks on this card.....can you spot them? The obvious one is the Gingham Gala DSP that's coming in the Occasions catalog. It's a 6" x 6" pack of small and medium gingham print in Daffodil Delight, Balmy Blue, Highland Heather, Lemon Lime Twist, and Grapefruit Grove. Love it! The other two peeks are the Calypso Coral 3/8" Satin Ribbon, and the Old Olive Linen Thread. Believe me, there are some fabulous things coming in January! 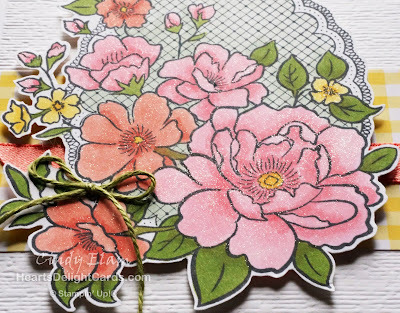 Keep checking here, because I'll have some more sneak peeks in the coming days and weeks.